By taking the most powerful excerpts and quotes from the book, which is already a concise volume, I find that the knowledge can be refreshed, and thus retained, in a fraction of the time it would take to re-read the book in its entirety. Below is my personal summary. Did you know that each of us influences at least ten thousand other people during our lifetime? So the question is not whether you influence someone, but how will you use your influence. Sir Francis Bacon observed that knowledge is power. Back when he lived and information was scarce, that may have been true. But today, it would be better to say that knowledge empowers — as long as it’s what you need. 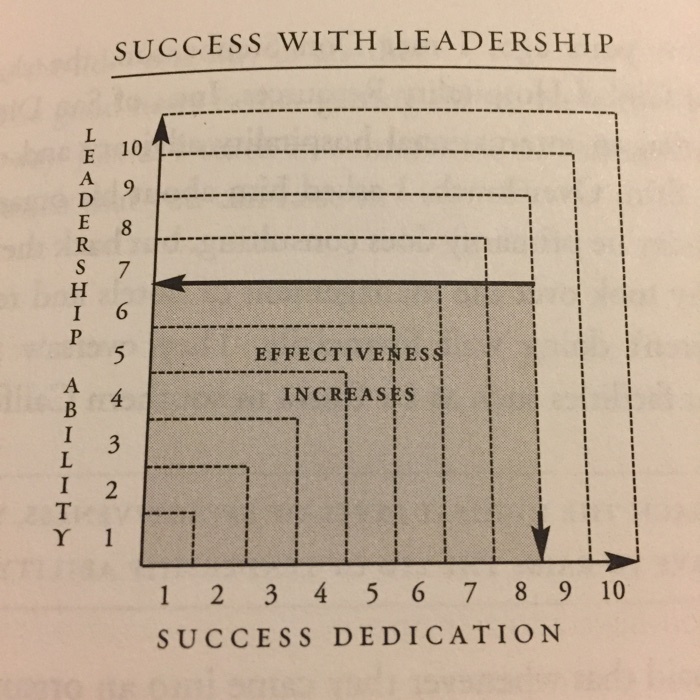 Leadership ability is the lid that determines a person’s level of effectiveness. Your leadership ability — for better or for worse — always determines your effectiveness and the potential impact of your organization. The higher you want to climb, the more you need leadership. The greater the impact you want to make, the greater your influence needs to be. Leadership has a multiplying effect. To reach the highest level of effectiveness, you need to raise the lid of leadership ability. What matters most is what you do day by day over the long haul. Leadership is complicated. It has many facets: respect, experience, emotional strength, people skills, discipline, vision, momentum, timing — the list goes on. Whenever you come across a golden nugget of truth or a significant quote, file it away for the future. There is an old saying: Champions don’t become champions in the ring — they are merely recognized there. If you want to see where someone develops into a champion, look at his daily routine. Boxing is a good analogy for leadership because it is all about daily preparation. Leadership doesn’t develop in a day. It takes a lifetime. Treat trust as your most important asset. In short, character is the only effective bulwark against internal and external forces that lead to a country’s disintegration or collapse. How do leaders earn respect? By making sound decisions, admitting their mistakes, and putting what’s best for their followers and the organization ahead of their personal agendas. No leader can break trust with his people and expect to keep the same level of influence with them. Trust is the foundation of leadership. You can seize only what you can see. Vision is everything for a leader. It is utterly indispensable. Vision leads the leader. It paints the target. It sparks and fuels the fire within, and draws him forward. Vision draws on your history. It grows from a leader’s past and the history of the people around him. One of the most valuable benefits of vision is that it acts like a magnet — attracting, challenging, and uniting people. The greater the vision, the more winners it has the potential to attract. Do you know your life’s mission? What stirs your heart? What do you dream about? If what you’re pursuing doesn’t come from a desire within — from the very depths of who you are and what you believe — you will not be able to accomplish it. The Unhappy Voice: Discontent with the status quo is a great catalyst for vision. To fulfill a big vision, you need a good team. But you also need good advice from someone who is ahead of you in the leadership journey. If you want to lead others to greatness, find a mentor. Think about what you’d like to see change in the world around you. The Higher Voice: Have you looked beyond yourself, even beyond your own lifetime, as you’ve sought your vision? Do a gut check. What makes you cry? What makes you dream? What gives you energy? The true measure of leadership is influence — nothing more, nothing less. The Management Myth — that leading and managing are the same thing. They aren’t. The Entrepreneur Myth — assuming that all salespeople and entrepreneurs are leaders. Not always the case. The Knowledge Myth — assuming those who possess knowledge and intelligence are leaders. Not automatically true. The Pioneer Myth — anyone out in front of the crowd is a leader. Being first isn’t the same as leading. The Position Myth — assuming that leadership is based on position or title. It’s not. To be a leader, a person has to not only be out front, but also have people intentionally coming behind him, following his lead, and acting on his vision. Positional leadership doesn’t work in volunteer organizations. If a leader doesn’t have leverage — or influence — then he is ineffective. Most followers are pretty cooperative when their livelihood is at stake. Followers in voluntary organizations cannot be forced to get on board. If the leader has no influence with them, then they won’t follow. If there is an issue that needs to be decided, who is the person whose opinion seems most valuable? You start to communicate effectively. This leads to recognition and recognition in turn leads to influence. 1. Position (Rights) – People follow because they have to. Your influence will not extend beyond the lines of your job description. The longer you stay here, the higher the turnover and the lower the morale. 2. Permission (Relationship) – People follow because they want to. People will follow you beyond your stated authority. This level allows work to be fun. Caution: Staying too long on this level without rising will cause highly motivated people to become restless. 3. Production (Results) – People follow because of what you have done for the organization. This is where success is sensed by most people. They will like you and what you are doing. Problems are fixed with very little effort because of momentum. 4. People Development (Reproduction) – People follow because of what you have done for them. This is where long-range growth occurs. Your commitment to developing leaders will insure ongoing growth to the organization and to people. Do whatever you can to achieve and stay on this level. 5. Personhood (Respect) – People follow because of who you are and what you represent. This step is reserved for leaders who have spent years growing people and organizations. Few make it. Those who do are bigger than life. White collar workers are used to participating in decision-making and resent dictatorial leadership. People don’t care how much you know until they know how much you care. Leadership begins with the heart, not the head. On this level, the leader donates times, energy, and focus on the follower’s needs and desires. People who are unable to build solid, lasting relationships will soon discover that they are unable to sustain long, effective leadership. Do “win-win” or don’t do it. Initiate and accept responsibility for growth. Develop and follow a statement of purpose. Know and do the things that give a high return. Communicate the strategy and vision of the organization. Become a change-agent and understand timing. Make the difficult decisions that will make a difference. A leader is great, not because of his or her powers, but because of his or her ability to empower others. A leader’s responsibility is developing others to do the work. A true leader can be recognized because somehow his people consistency demonstrate superior performance. You win people’s hearts by helping them grow personally. Realize that people are your most valuable asset. Place a priority on developing people. Be a model for others to follow. Your followers are loyal and sacrificial. You have spent years mentoring and molding leaders. You have become a statesman/consultant, and are sought out by others. Your greatest joy comes from watching others grow and develop. The higher you go, the higher the level of commitment. If you are leading a group of people, you will not be on the same level with everyone. Everyone is a leader because everyone influences someone. Not everyone will become a great leader, but everyone can become a better leader. Will you use your leaderships skills to better mankind? The act of empowering others changes lives. People under the influence of an empowering person are like paper in the hands of a talented artist. No matter what they’re made of, they can become treasures. Empowerment: It’s sharing yourself – your influence, position, power, and opportunities – with others for the purpose of investing in their lives so that they can function at their best. When you delegate a challenging job to an employee and give her the authority she needs to get it done, you have empowered her. But empowering others by giving them your authority has the same effect as sharing information: You haven’t lost anything. You have increased the ability of others without decreasing yourself. Remember: When you empower people, you’re not influencing just them; you’re influencing all the people they influence. That’s impact! You need to have the right attitude. Many people neglect to empower others because they are insecure. They don’t want to be replaced or displaced, even if it means that they would be able to move up to a higher position and leave their current one to be filled by the person they mentor. They’re afraid of change. If you give inexperienced people too much authority too soon, you can set them up to fail. No amount of skill, knowledge, or potential can help people succeed if they don’t have the desire to be successful. Model the attitude and work ethic you would like them to embrace. And anytime you can include them in your work, take them along with you. Expect it – People can sense your underlying attitude no matter what you say or do. Verbalize it – Send them encouraging notes. Empowering others is more than sharing your workload. It’s sharing your power and ability to get things done. Empowering leadership is sometimes the only real advantage one organization has over another in our competitive society. You need to do it publicly. Public recognition lets them know that you believe they will succeed. And that you authority backs them up. You can’t let them go long without giving them honest, positive feedback. People do what gets praised. If you head up any kind of organization, learning to empower others is one of the most important things you’ll ever do as its leader. Empowering others can free you personally to have more time for the important things in life; increase the effectiveness of your organization, increase your influence with others and, best of all, make an incredibly positive impact on the lives of the people you empower. 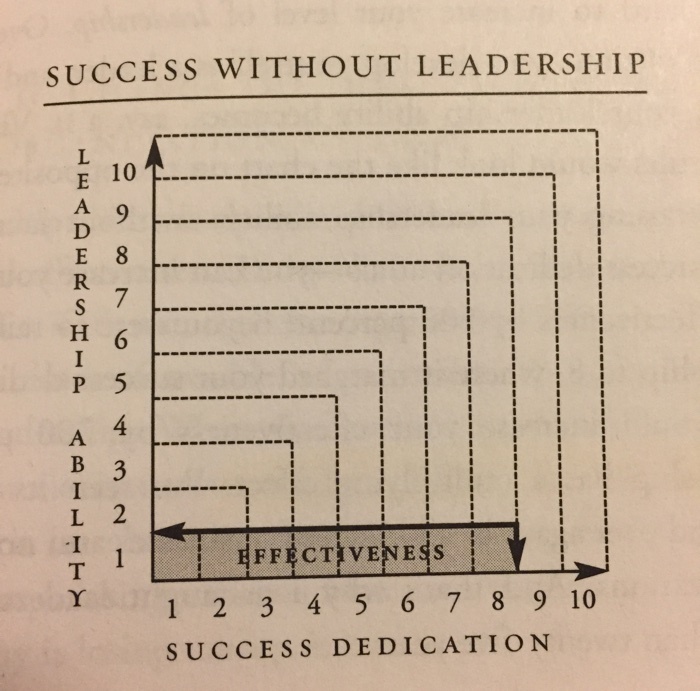 A leaders lasting value is measured by succession. Value team leadership above individual leadership. No matter how good he is, no leader can do it all alone. Achievement comes to someone when he is able to do great things for himself. Success comes when he empowers followers to do great things with him. Significance comes when he develops leaders to do great things for him. But legacy is created only when a person puts his organization into the position to do great things without him. A leader hates to see something that he put his sweat, blood, and tears into starting to fail. When all is said and done, your ability as a leader will not be judged by what you achieved personally or even by what your team accomplished during your tenure. You will be judged by how well your people and your organization did after you were gone. Your lasting value will be measured by succession.